Kevin Pertzel's 2004 model Western Star 4964 FX is still going strong after a million kilometres in the bush hauling logs. Kevin Pertzel could hardly speak more highly of the truck he’s driven on and off for a few years, a 2004 Western Star 4964 FX powered by a C15 Cat engine. "She’s a good old truck. She’s a beauty," says Pertzel of the logging rig he pilots around south-eastern Victoria, from his home base in Marysville. "It’s done a million kilometres in the bush and the cab’s still nice and tight, there aren’t any rattles and bangs." Maybe that helps explain why logging is a common application for 4964 FXs. The only major work the Star performer has had done is re-raced diffs (new bearings) and an engine rebuild at around the 800,000-kilometre mark. "I don’t know what they did to it but it’s going like bloody steam train," says Pertzel. "No-one can catch it. The new Cats must have too much pollution gear on them or something." Meanwhile, the clutch and Roadranger gearbox have never been touched. The ageing Western Star has been well maintained, including periodic computerised engine check-ups from the local William Adams Caterpillar dealer. Service intervals are measured in hours, not kilometres, because this truck spends a lot of its life on slow bush tracks. Pertzel says it will go anywhere -- including in snow without needing chains -- courtesy of the diff locks and cross locks. Central tyre inflation (CTI) also helps on rough roads, and makes a big difference in reducing wear and tear to the truck and tyres. The 4964 pulls a single fold-up tri-axle jinker trailer at 41 tonnes all-up. To read the full review of Kevin Pertzel’s Star see the October issue of Owner//Driver, on sale in the first week of October. 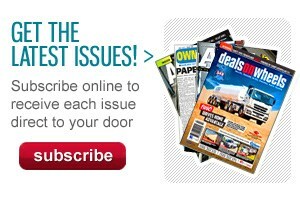 Or to guarantee your copy each and every month you can subscribe. 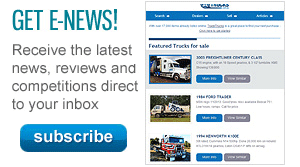 Find Western Star 4964 trucks for sale. Search for new Western Star 4964 specs.